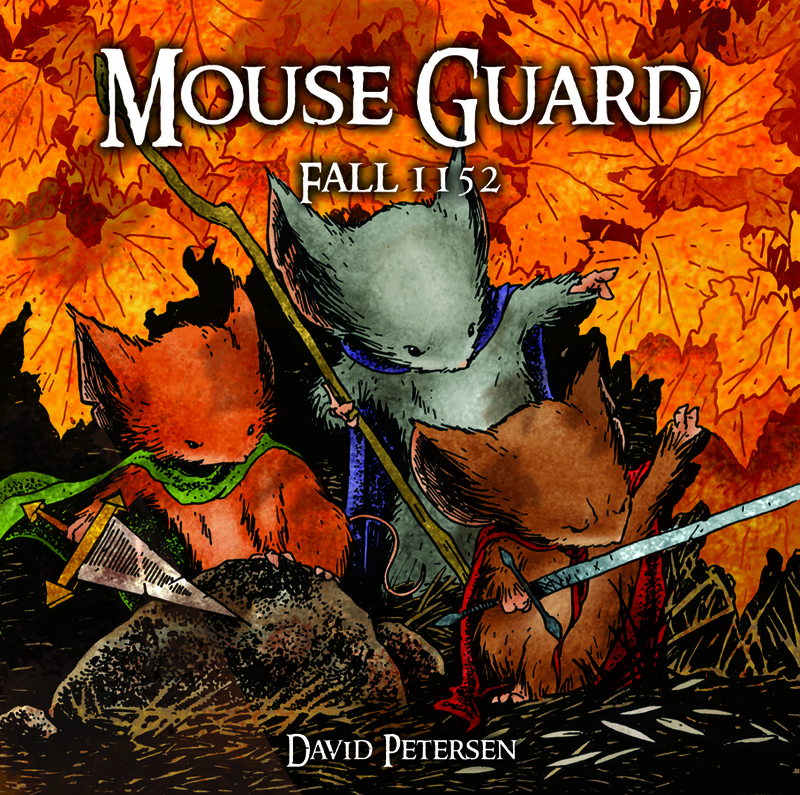 Tag Archive | "mouse guard"
Archaia Entertainment and Skelton Crew Studio are excited to announce an exclusive license agreement for the studio to create a line of prop replicas based on the Eisner Award-winning Mouse Guard, written and drawn by David Petersen. The studio plans to release pewter collectibles of swords, shields, and other armament from the Mouse Guard universe. Its first release, the Black Axe, is slated for Christmas 2012. Archaia Entertainment announced today the initial run of the MOUSE GUARD ROLEPLAYING GAME BOX SET has sold out at the distributor level (copies may still be available at the retail level), so the company has rushed a second run into circulation to meet the demand for the holidays. In addition, by popular demand, limited sets of the Mouse Guard RPG dice and pawns—which until now had only been a part of the box set—are available for separate purchase exclusively through the Archaia Webstore, said Archaia Publisher Mike Kennedy. 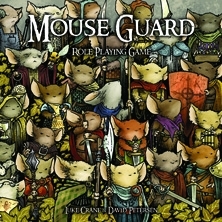 The Mouse Guard Roleplaying Game Box Set is a deluxe version of the original Mouse Guard Roleplaying Game hardcover book, an award-winning, pen-and-paper RPG that uses Luke Crane’s Burning Wheel system and is lavishly illustrated by Mouse Guard creator David Petersen. Inside the June Alley Inn, located in the western mouse city of Barkstone, mice gather to tell tales, each trying to outdo the other. A competition, of sorts, begins. The game: Tell the best story, get your bar tab cleared! 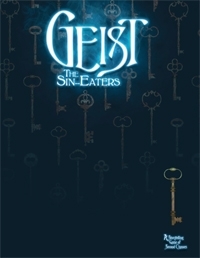 The rules: Every story must contain one truth, one lie and have never been told in that tavern before. 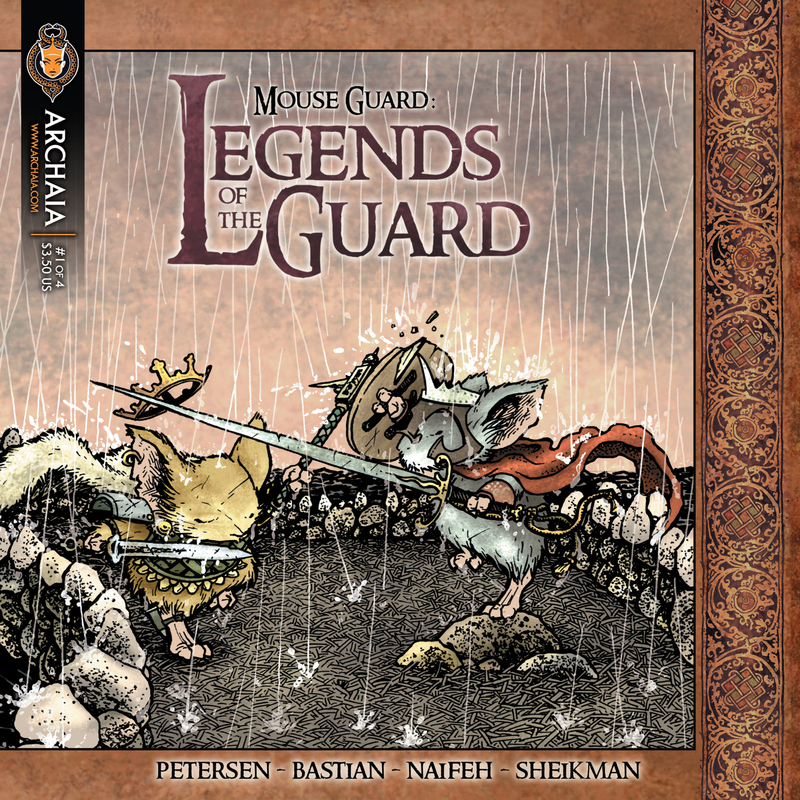 Legends of the Guard is a new Mouse Guard anthology series featuring the work of artists and storytellers handpicked by series creator David Petersen. 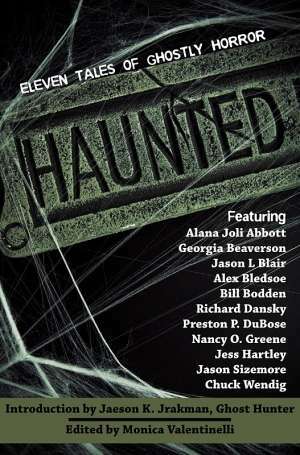 Featured in this issue are stories by Jeremy Bastian (Cursed Pirate Girl), Alex Sheikman (Robotika) and Ted Naifeh (Courtney Crumrin and the Night Things). Flames Rising is pleased to present several preview pages from this new comic published by Archaia Entertainment. 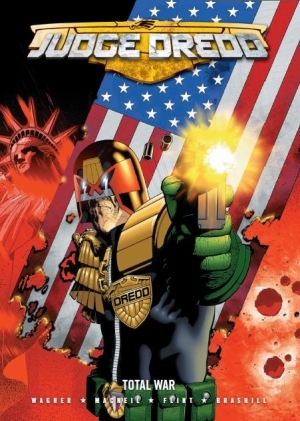 What do Paul Revere and Johnny Saturn have in common with Judge Dredd? They’re all on sale right now at DriveThruComics.com, your first downloadable comic shop. All you have to do is visit DriveThruComics.com to enjoy an automatic twenty percent savings on select comic book downloads now through midnight on Sunday. There is no minimum purchase and you don’t have to enter any coupon codes to participate in the Weekend Warrior Sale. Prices normally range from ninety-nine cents for a single issue to twenty dollars for a graphic novel or exclusive collections. 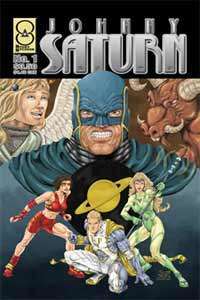 Publishers included in the sale range from Archaia Entertainment, Coscom Entertainment, 2000 A.D., AAM-Markosia Press, Heske Horror, Caliber Comics and several more! Answering the call of fans and retailers clamoring for more Mouse Guard stories, Archaia Entertainment proudly announced the launch of a new anthology miniseries, Mouse Guard: Legends of the Guard, featuring covers and chapter breaks written and drawn by creator David Petersen and contributions from popular comic writers and artists, including Gene Ha, Terry Moore, Ted Naifeh, Guy Davis, Sean Rubin, Mark Smylie, Craig Rousseau, Karl Kerschl, Katie Cook and Jeremy Bastian. Issue #1 (full color, 24 pages, 8” x 8”, $3.50, Diamond Order Code MAR10 0699) is available for pre-order now and will debut in comic book shops in May. 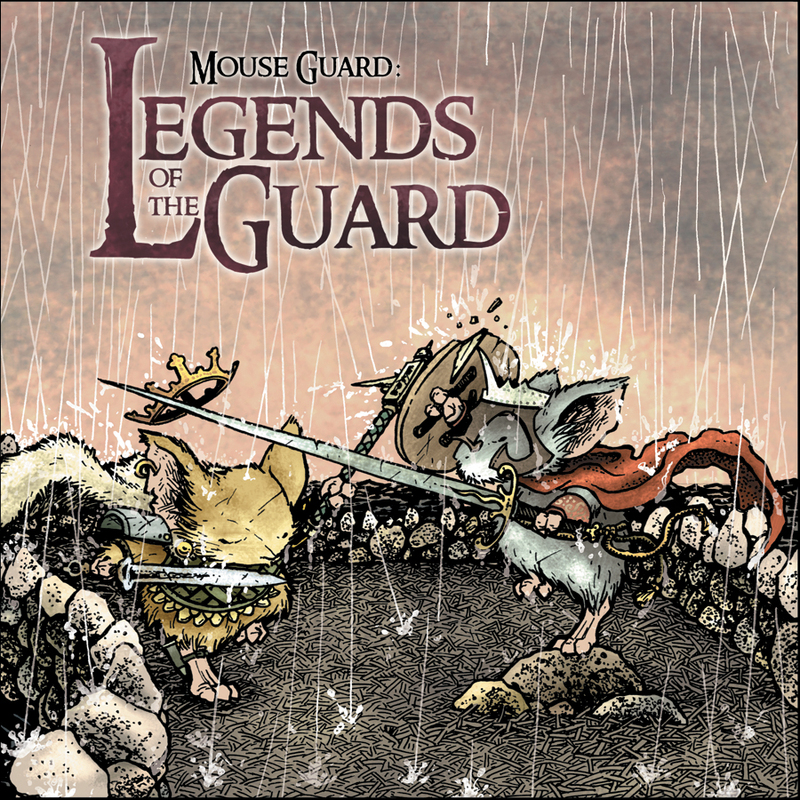 “It started with the excitement and pleasure I had when Jeremy Bastian and Mark Smylie did their pinups for Volume 1 of Mouse Guard,” explained Petersen about the genesis of Legends of the Guard. 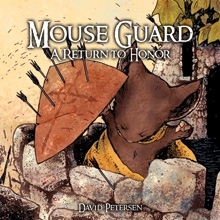 As a testament to the continuing strength of the Mouse Guard brand and Archaia Entertainment’s commitment to its creators, the publisher announced today that after selling 80,000 copies of David Petersen’s Mouse Guard Vol. 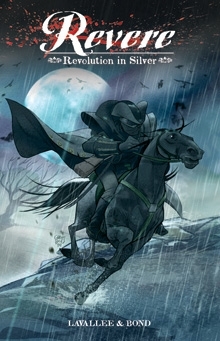 1: Fall 1152 hardcover since its original release in 2007, the title is going back to press. 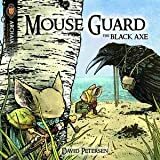 Archaia’s third printing of 10,000 copies, which are scheduled to arrive in stores in March, was expected to last over a 12-month period, but a deluge of advanced ordering due to the announcement of more Mouse Guard volumes has prompted the possibility of a fourth printing to commence in the coming months. Twenty for $10 RPG Sale! To help you kick off this auspicious New Year right, we’ve got twenty of the biggest and best RPG products on our site on sale for just $10! These are all “big ticket” books that normally sell for at least $20 or more (some for a LOT more), but we all want to jump start the gamer economy here at the start of the year, and you can help us by taking advantage of this unique and amazing sale! Well, yeah. You got us. The publishers thought this was such an amazingly cool idea, they committed more books than we asked for, and we just didn’t have the heart to choose. So you’re really getting “Twenty-Plus for $10!” Do us a favor and don’t tell the bosses, OK? 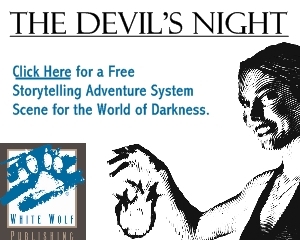 Twenty for $10 RPG Sale at the Flames Rising RPGNow Shop. It may be the day after Thanksgiving here in the U.S., but to many folk it’s also called Black Friday, the biggest shopping day of the year. 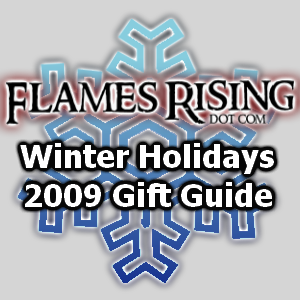 Whether you’re planning on shopping today or online later, we’ve asked some of our FlamesRising staff to write up some gift ideas for you in our Winter Holidays 2009 Gift Guide. Throughout the day today, we’re going to offer you some horror movie, tabletop and video game and horror novel recommendations for you to read through. We hope that FlamesRising.com will help you find “the” perfect gift for the horror fan in your life. Watch for more periodic updates as we cover special winter holiday offers and provide you with a few unusual gift ideas.